None of our current therapies restore skeletal mass and strength to normal. Even the most effective drugs reduce hip fracture risk by only 40–50% and are associated with side effects or intolerance. In all the current pharmacologic approaches to osteoporosis, whenever decreases or increases in the activity of one cell line are induced, the changes in the same direction occur in the “coupled” cell lines. Thus, whenever an antiresorptive agent reduces bone resorption by inhibiting differentiation and/or function of osteoclasts, there will also be a reduction in osteoblast function. Likewise, whenever osteoblast function is increased, there will be an increase in osteoclast function. 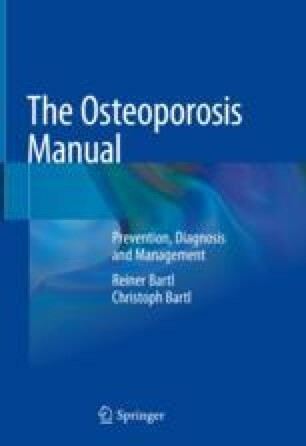 This linkage limits the current therapies for osteoporosis. Future agents which could “uncouple” these activities, even temporarily, would enable unopposed bone formation, thus attaining greater increases in BMD, and more directed modulation of bone architecture to improve bone strength. Pharmacologic intervention in the control of osteocytes, the most abundant cell in the bone, is a further interesting and promising target in bone research.